On Sunday 20th May, Michelle McGuffin, from Watford, and her two sons, Ethan and Cameron, will be joining over 900 people for Peace Hospice Care’s Watford Colour Run. Michelle and her sons are running in memory of her best friend, Jane Martin-Dye, who died at the Hospice’s Inpatient Unit in February 2017. Jane faced a three and a half year battle with breast cancer before being cared for by Peace Hospice Care. 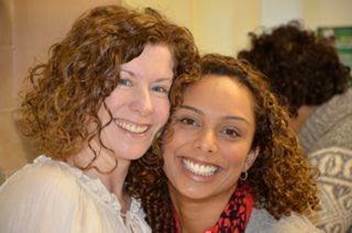 Michelle said: “I saw Jane almost every day. She was wonderful in too many ways to describe: kind, funny, thoughtful, full of fun and always had time for others. She was so brave and never dwelled on her pain - I’ll never forget her amazing strength. 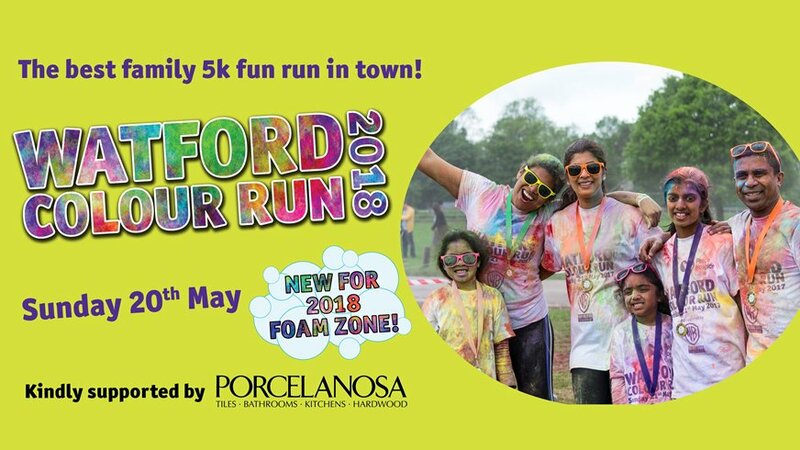 You can also join in the friendliest family fun run in town, the Watford Colour Run! The 5k route takes participants around Aldenham Country Park, including a visit to the Winne the Pooh Hundred Akker Wood, plus this year a foam zone has been added to the route. You can expect to be covered in coloured powder, splashed with water and covered in foam as you make your way around the Park! This run is suitable for everyone, with no age or time limit, so feel free to hop, skip, jump, walk or even dance your way around the course. The run will take place on Sunday 20th May and starts at 10:30am but there will be a lively events village with live music, food stalls, rides and games through out the day, so be sure to come early. Bring your spare change and join in the fun! Everyone taking part in the Watford Colour Run will be helping to raise vital funds for Peace Hospice Care. To register, please visit: www.peacehospicecare.org.uk/colourrun, email: events@peacehospicecare.org.uk or call: 01923 335 373.